Congratulations to all three of you! Ordered my copy this morning. I'm waiting for mine since 2 days. Funny i almost got my copy before yours… i can't wait to get my hands on it. I bought the book from the local bookstore (in Malaysia) a few days ago and have quickly read through it. Excellent stuff – learnt a number of new things. One quick question if I may – this is regarding the Settings API (SAPI). It seems to me that the SAPI is a long-winded way of using various callback functions just to draw the forms, and stuff. and use my code to 'draw the html form' for the options page? I find it more straightforward compared to using add_settings_section(), add_settings_field() and do_settings_section with its own callback functions. Look forward to your comment. Adrian » As outlined somewhere in the chapter, using all built-in functions to draw the page ensure that, in 3 years when WP admin area has different HTML or CSS classes your plugin will still seamlessly integrate. Hardcoding your own HTML is ok, but needs updating when WP changes. I have already started reading it, amazingly having obtained my copy in a discount bookstore here in Stockholm. Very well written and informative; the contents is spot-on for my forthcoming needs. After a quick browse, I'd loved to see a bit more on facilitating file/image uploads and handling via plugins. But maybe I just haven't found to the right chapter yet. Overall a great job on the book, much appreciated! I finally got my copy of this book, and I am currently reading it. Just read chapter 8. This is excellent work. I have done a lot of custom plugins, but I learn something new on almost every page. Moi je suis super déçu, il n'y a même pas de femmes à poils dans ce bouquin, je veux être remboursé !! The book seems to cover many good things. Congratulations! Too bad I won't be able to go the WordCamp in Paris. I'd have liked to meet you in person. I have used Admin Drop Down Menu for a long time, for many many blogs. I think it's wonderful. I believe that I can find something else on your site. I'm also a PHP dev (long time ago) and can be regarded as a PHP book write, so I can understand how you are feeling now. You attain your objective and keep on the move. Man, i'm surprised you didn't write that book. You make the most phenomenal WP plugins, period. You're an amazing developer – thank you for all your plugins, I use every single one of them. Congrats! I'll have to pick me up a copy. Your words of wisdom on developing plugins have always been helpful and has saved me massive amounts of time and shortening my learning curve like no other! 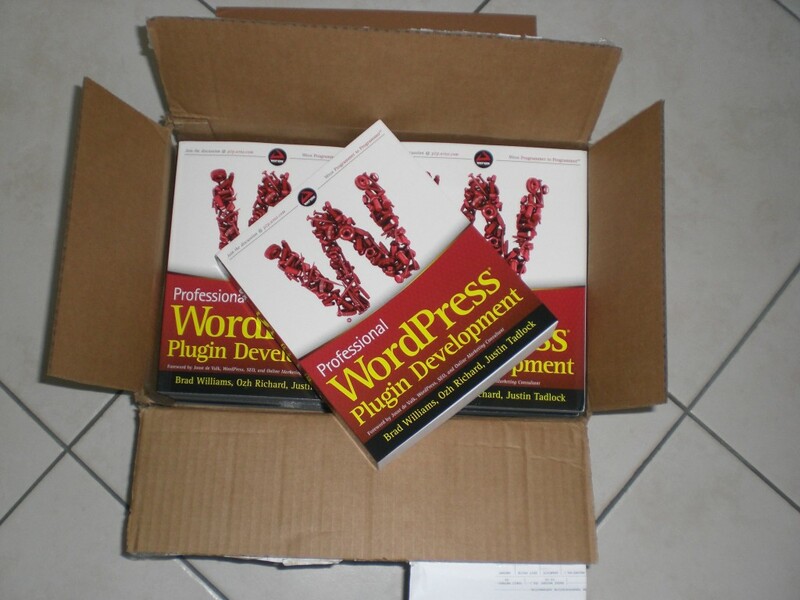 I'm sure it's a must have book for anyone who wants to get into developing WordPress plugins.